Sime Darby is a Malaysia-based diversified multinational involved in key growth sectors, namely, plantations, property, motors, industrial equipment and energy & utilities. Founded in 1910, its business divisions seek to create positive benefits in the economy, environment and society where it has a presence. With a workforce of over 100,000 employees in over 20 countries, Sime Darby is committed to building a sustainable future for all its stakeholders. Sime Darby can trace its roots to as early as the 19th Century, when pioneering English planters established rubber plantations in Malaya. Among those pioneers were Alexander Guthrie, Daniel & Smith Harrison, Joseph Crosfield, Willliam Sime and Henry d'Esterre & Herbert Mitford Darby - founders of three great companies that today make up Sime Darby Berhad. 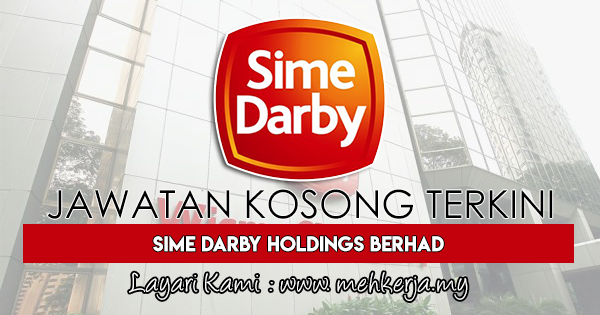 0 Response to "Jawatan Kosong Terkini di Sime Darby Holdings Berhad - 10 Mac 2019"